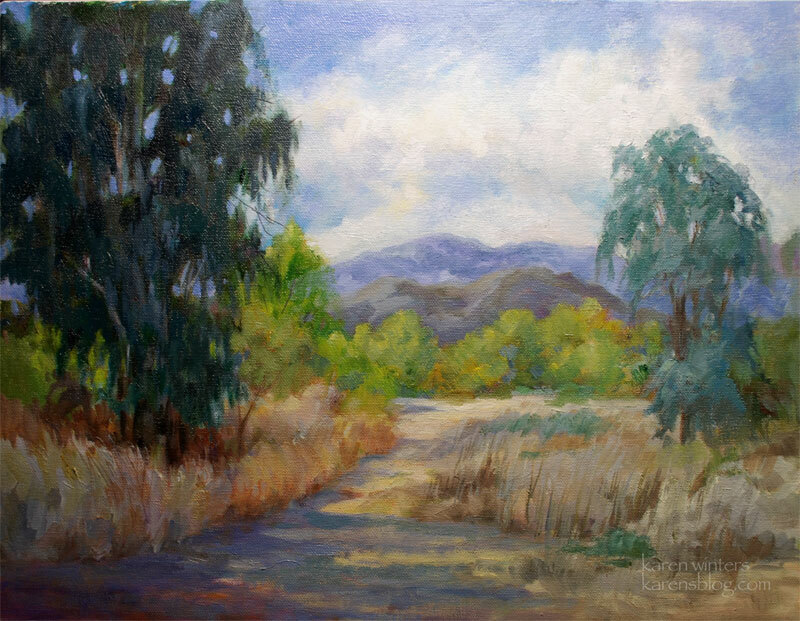 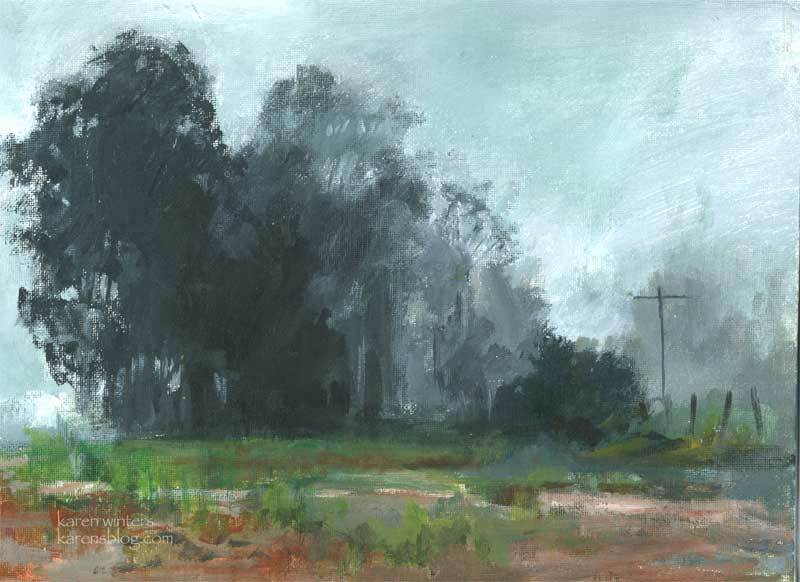 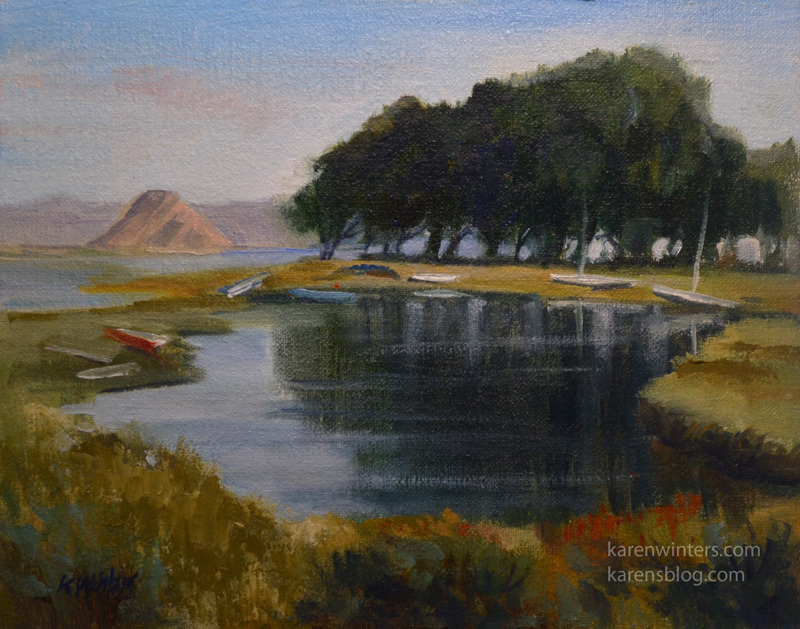 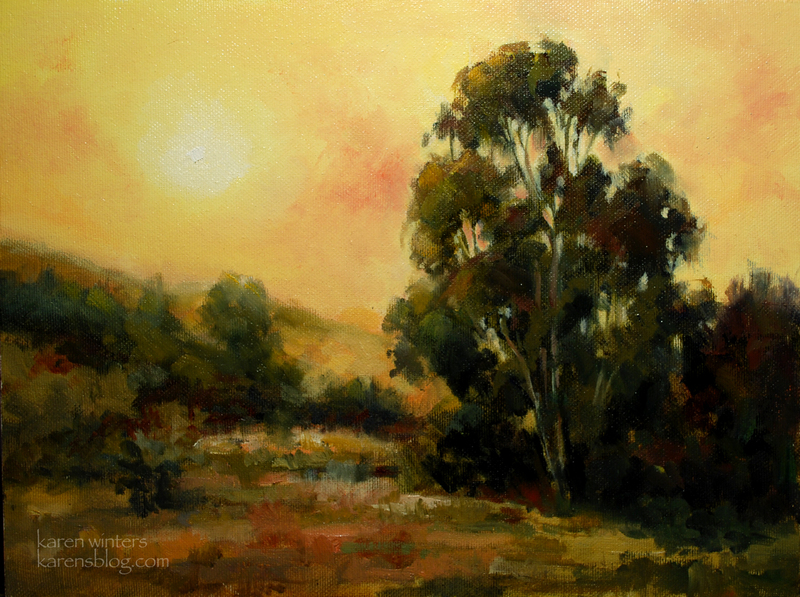 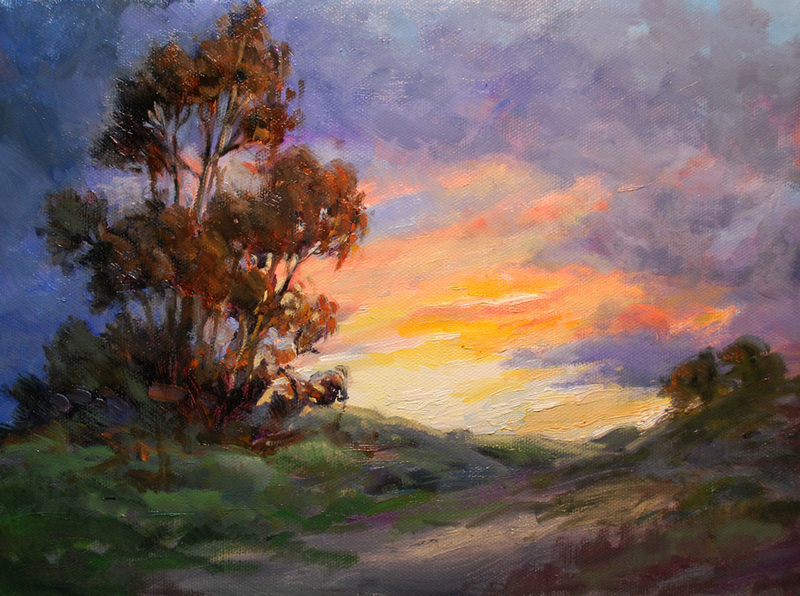 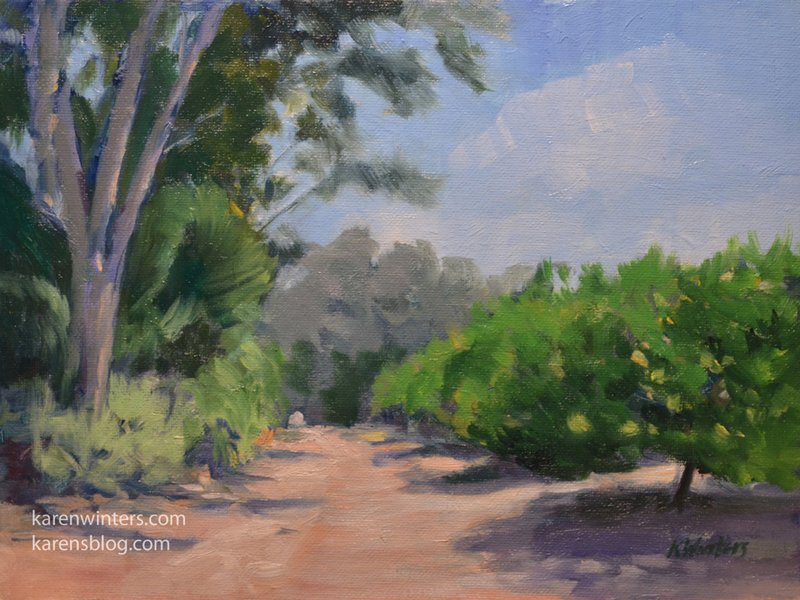 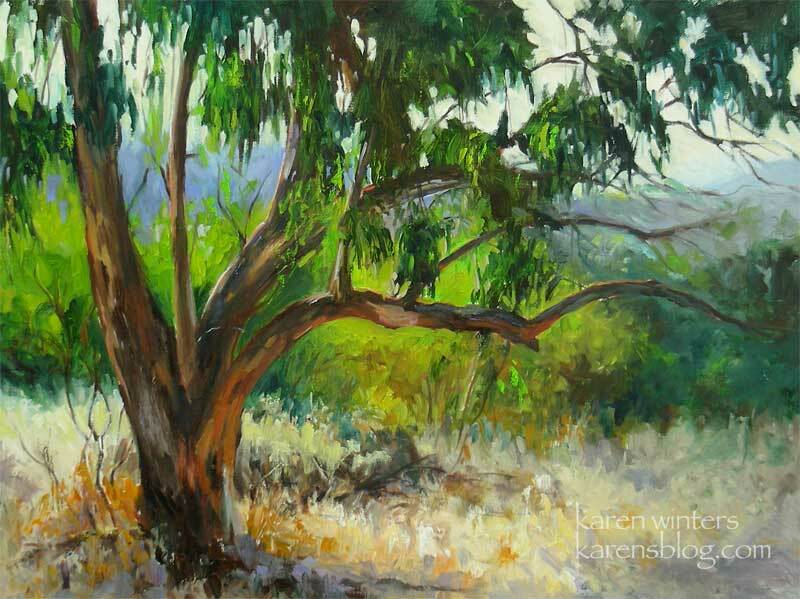 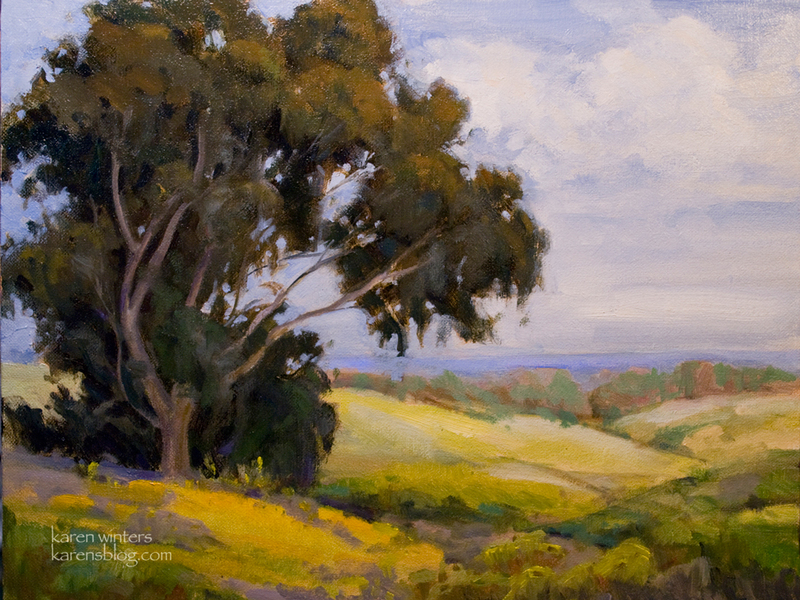 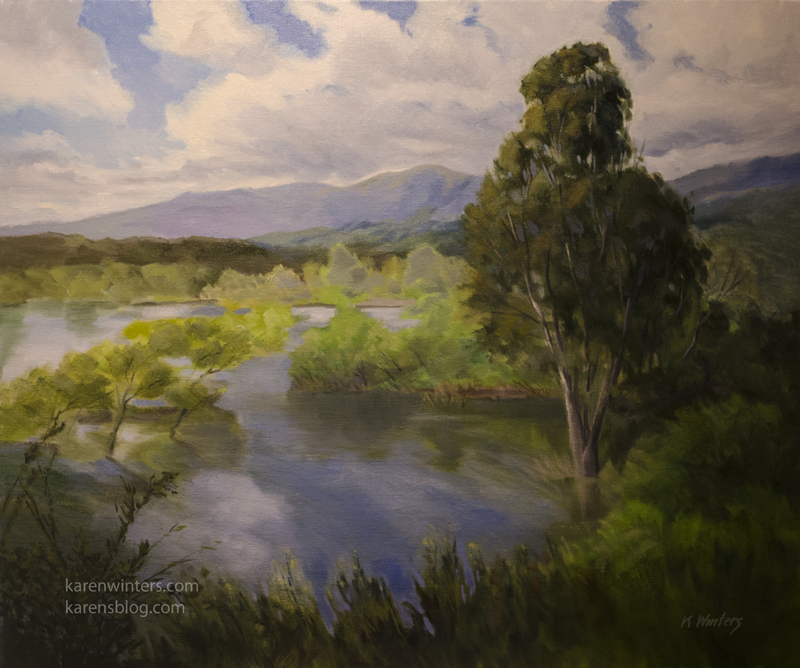 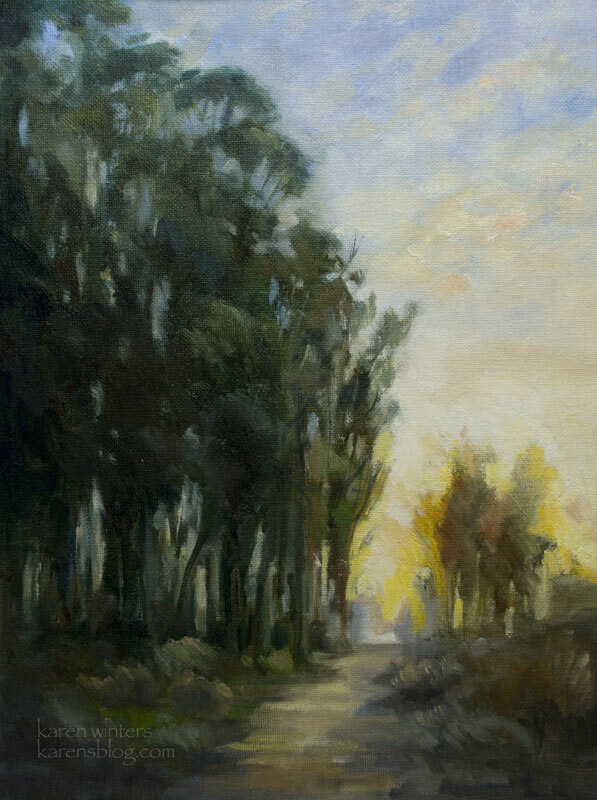 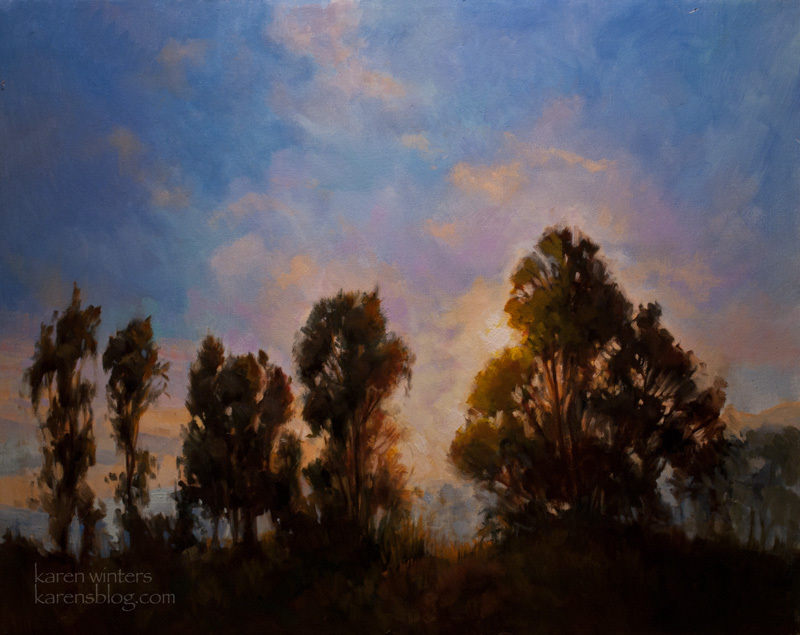 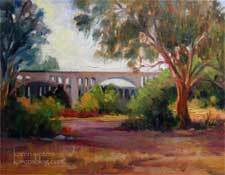 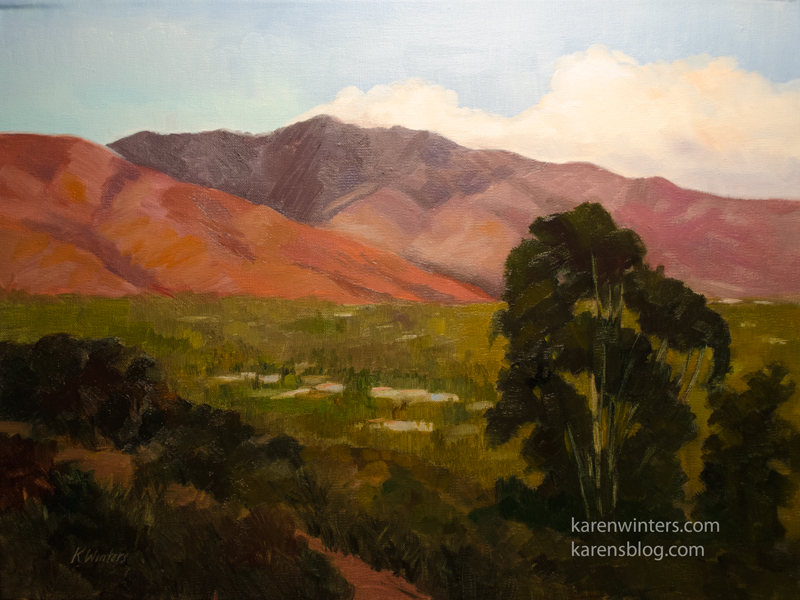 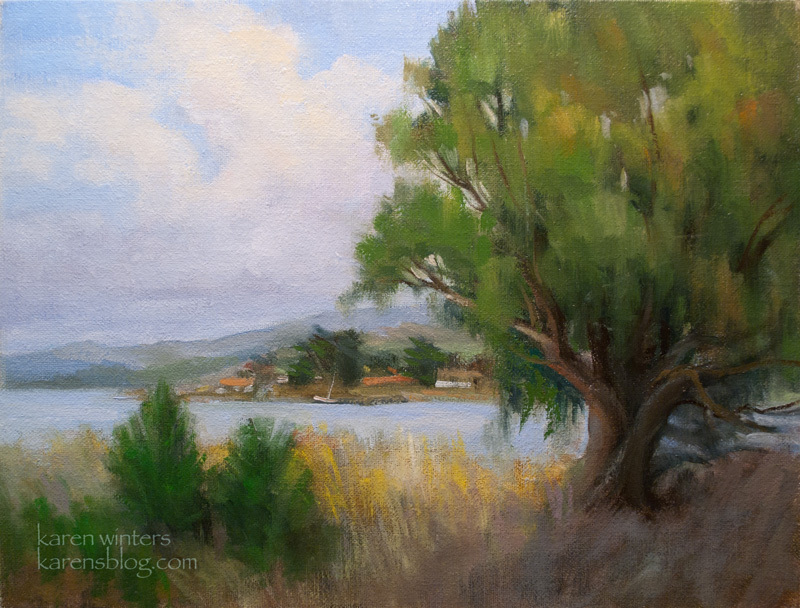 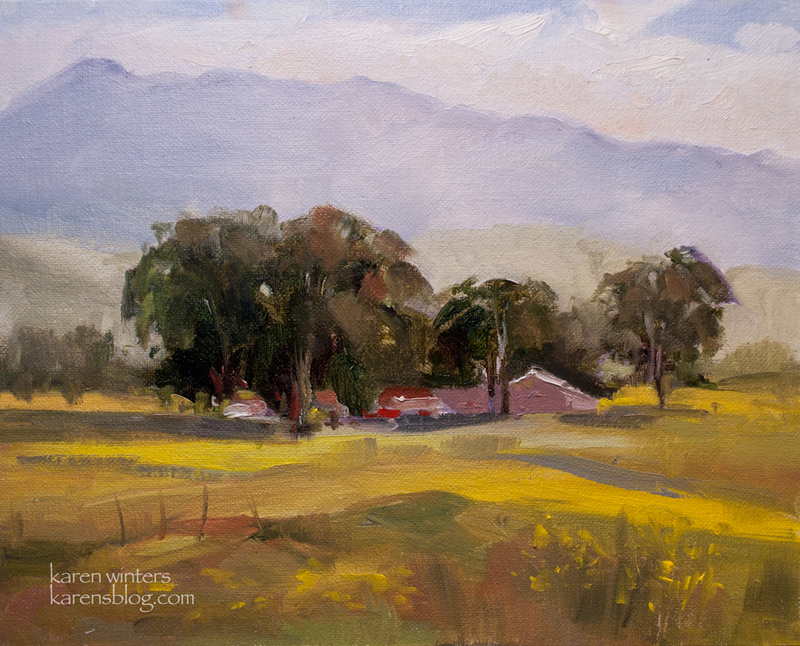 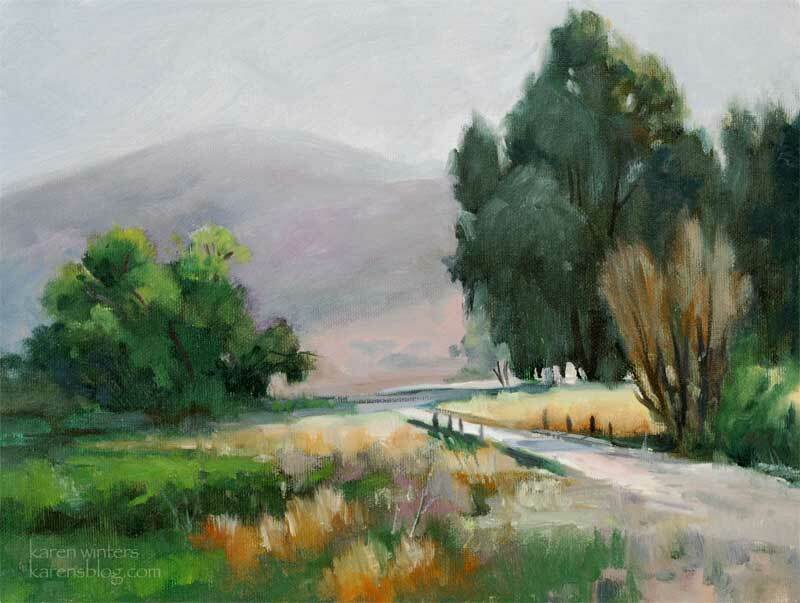 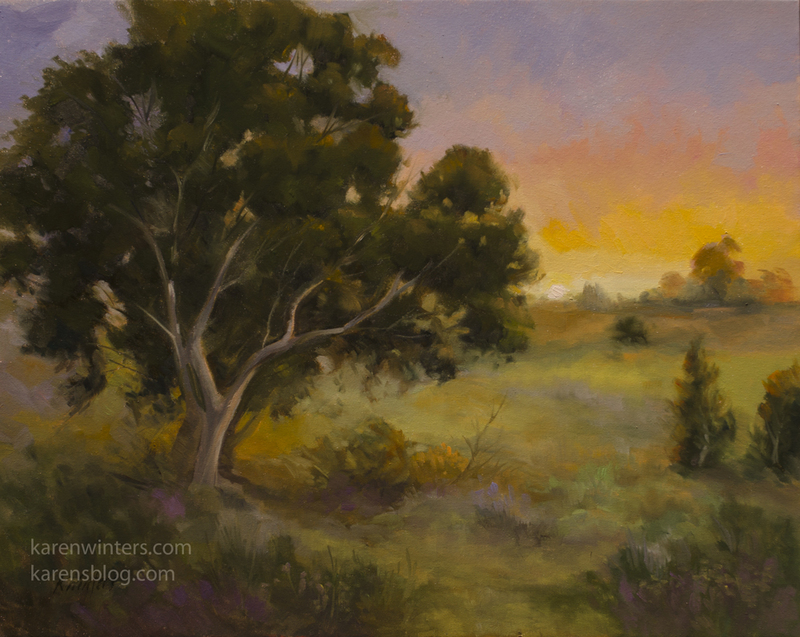 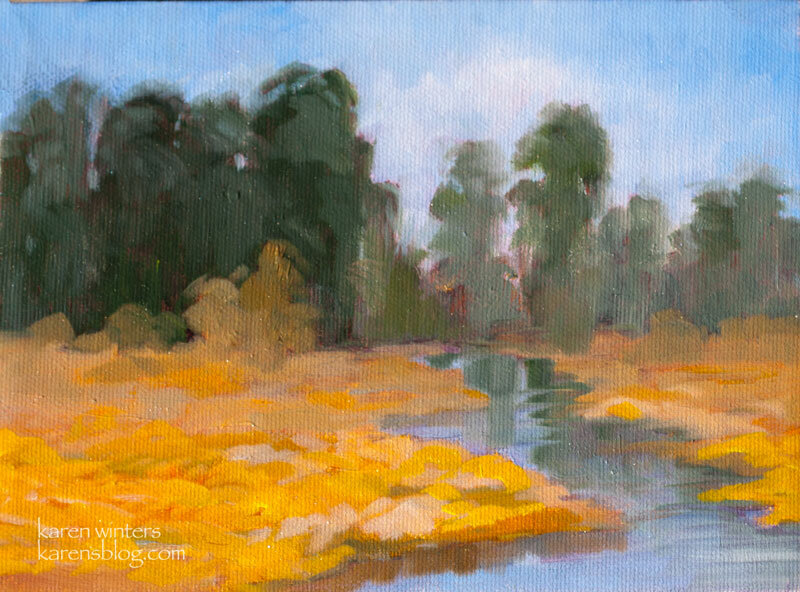 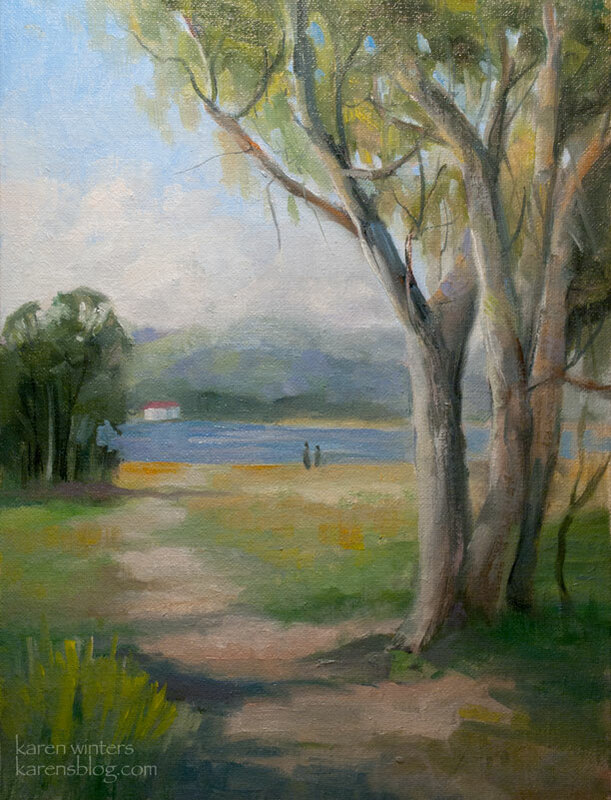 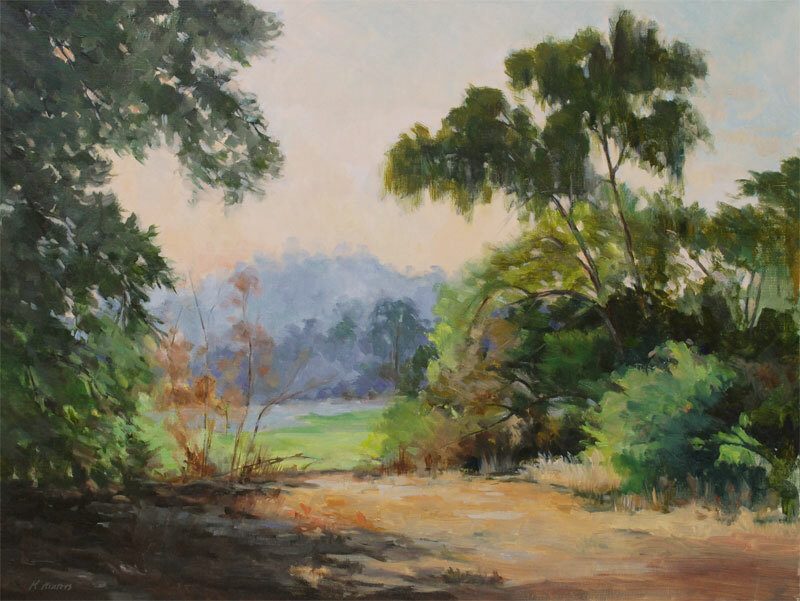 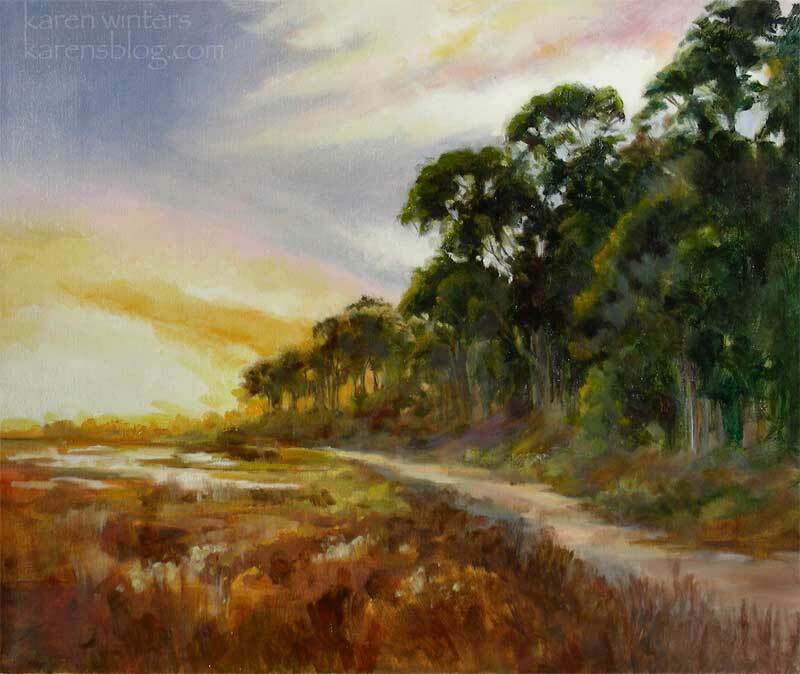 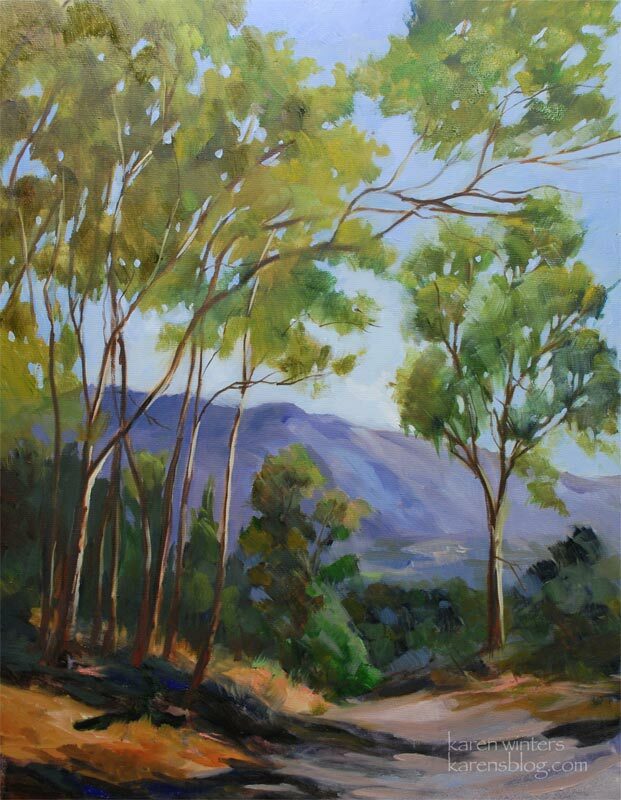 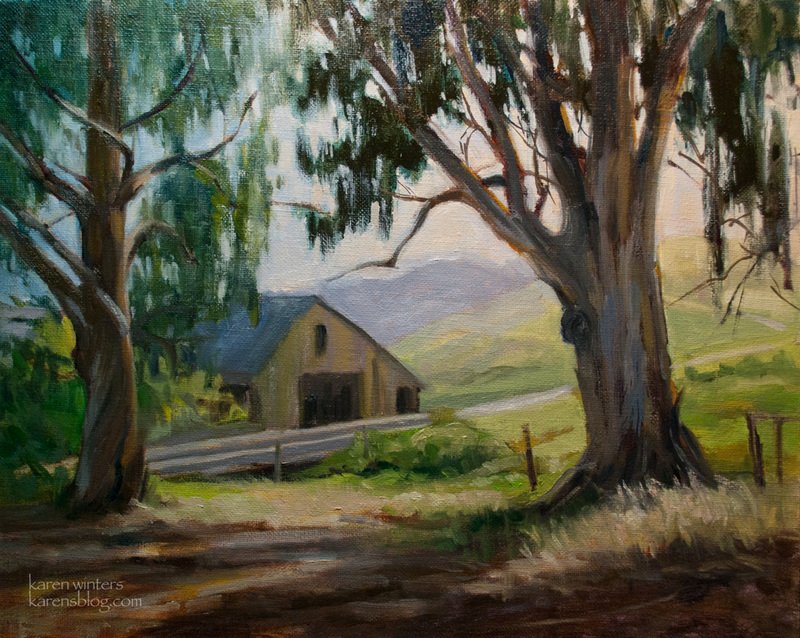 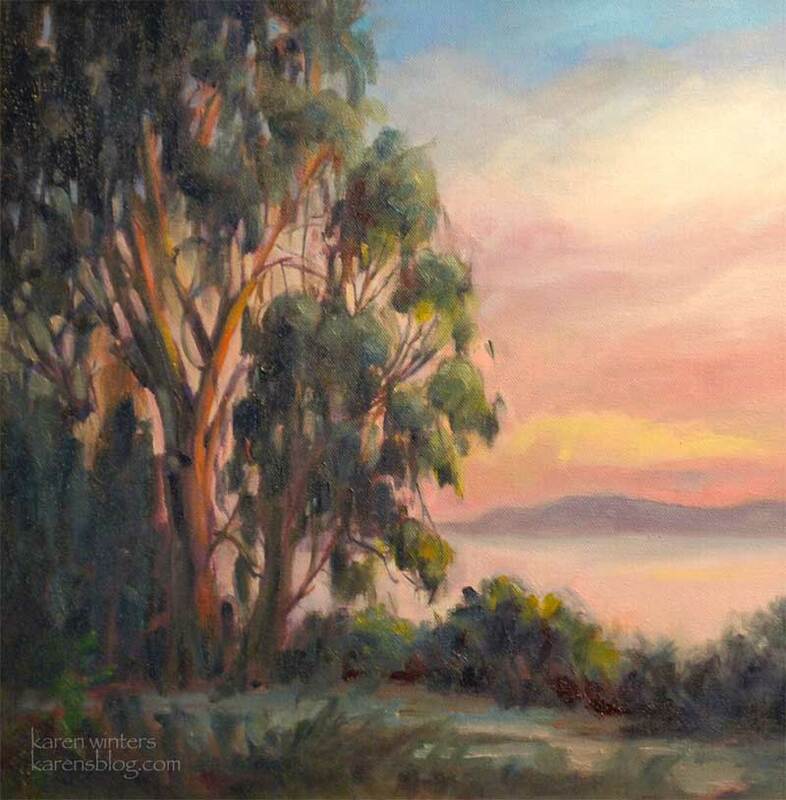 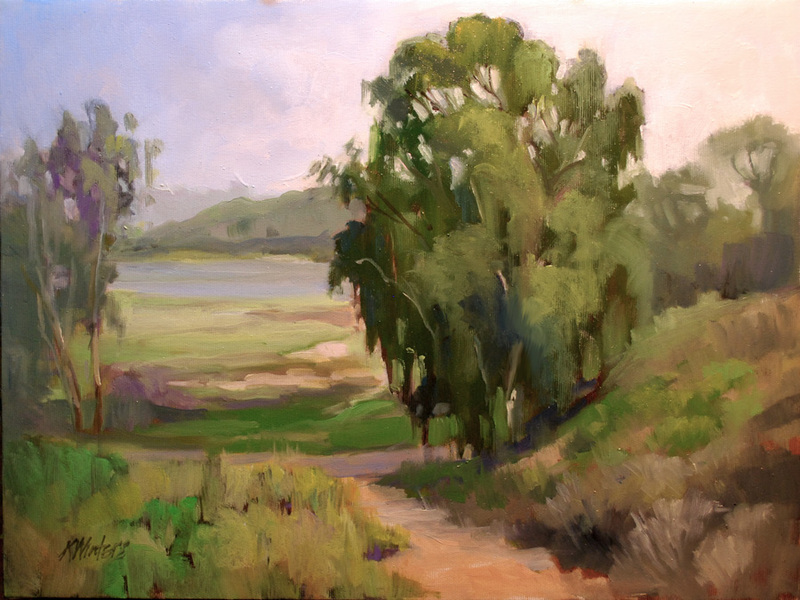 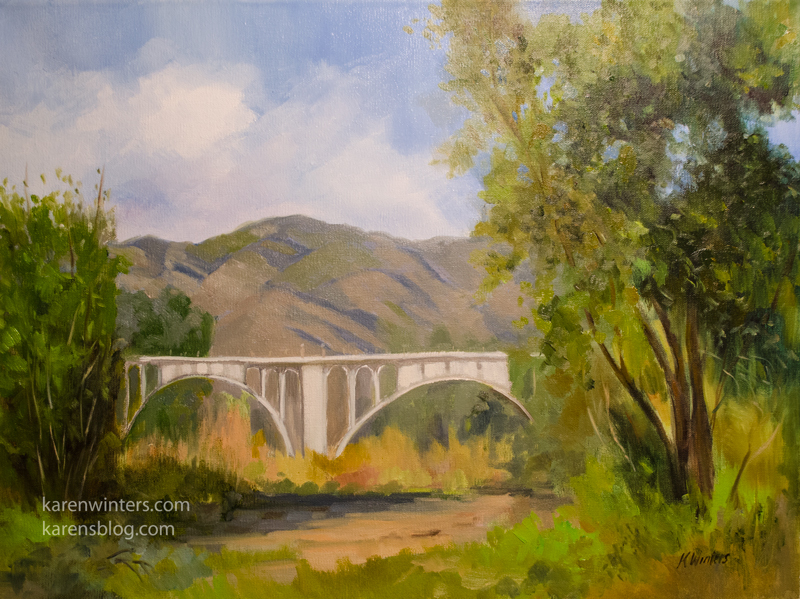 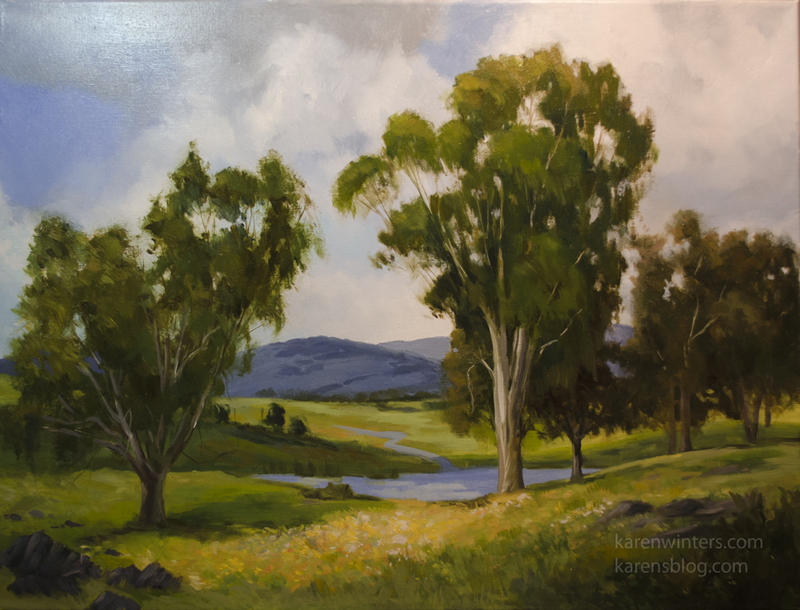 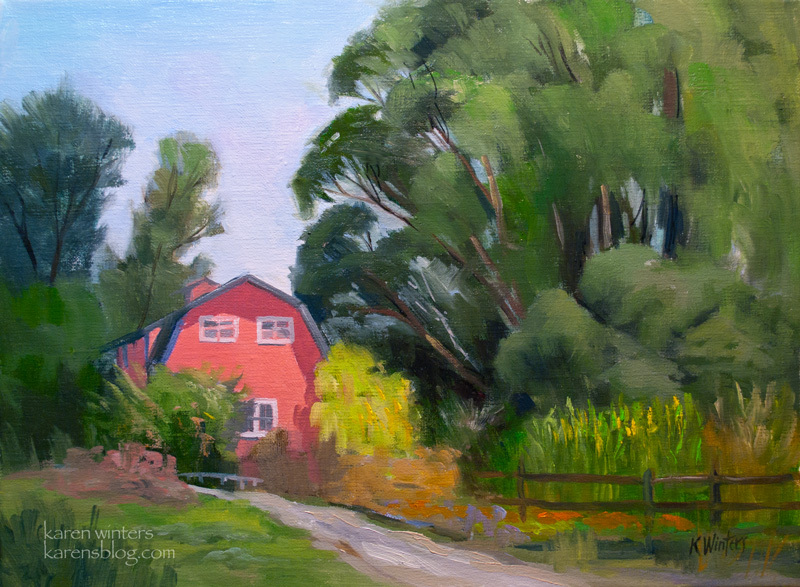 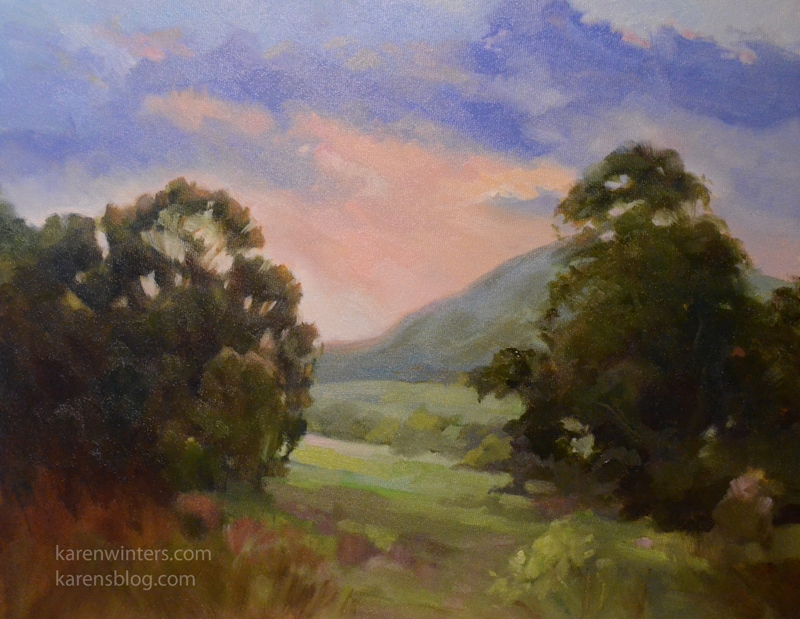 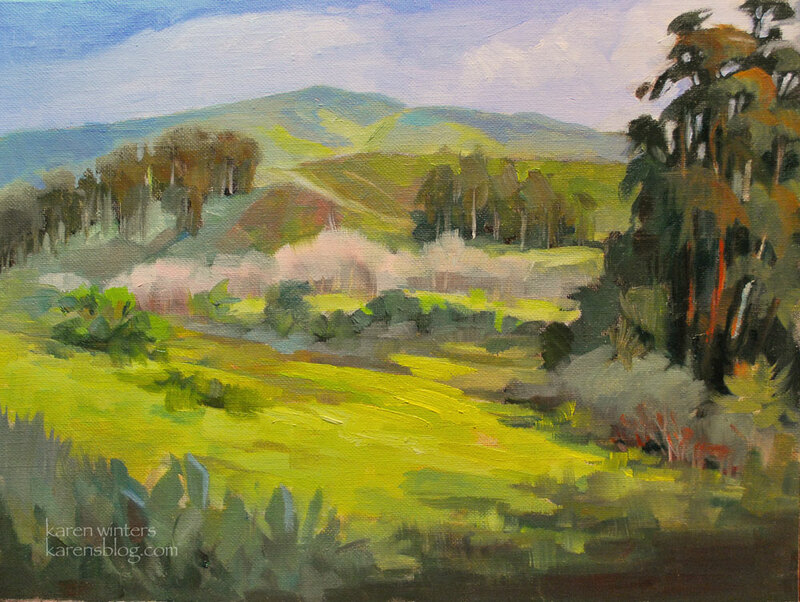 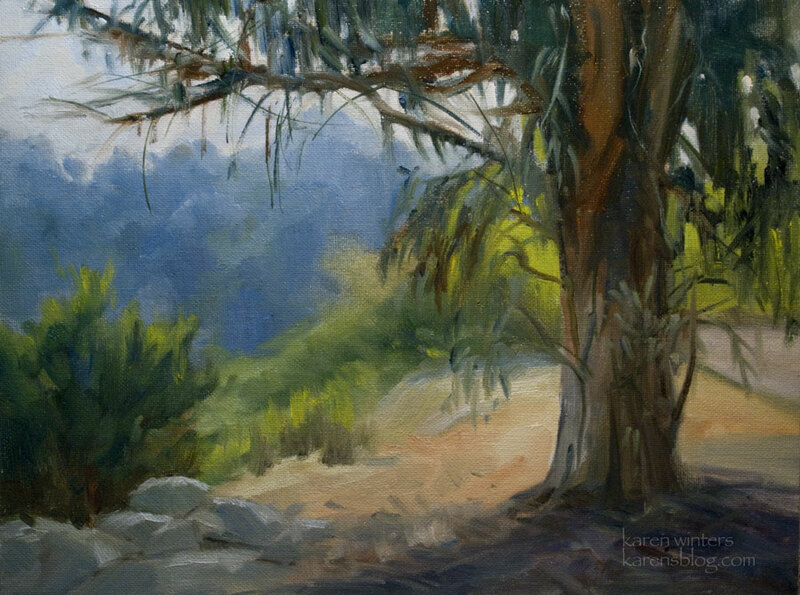 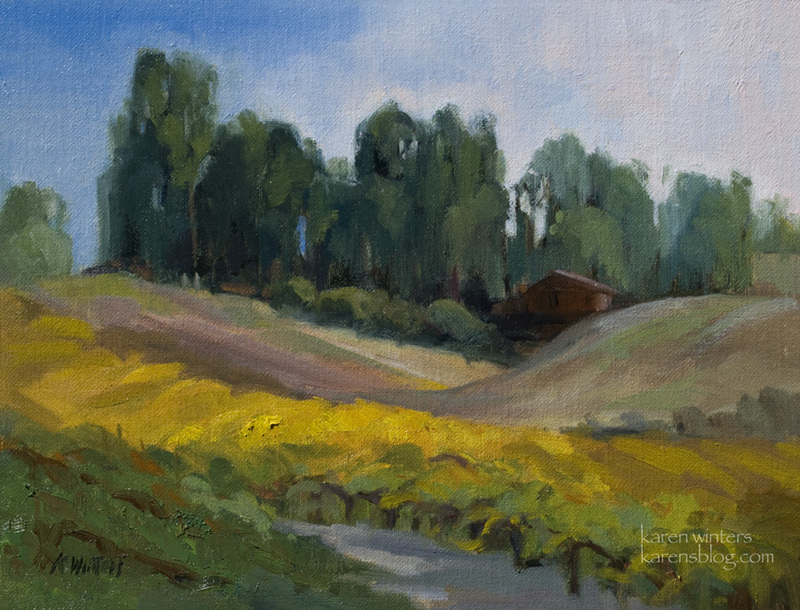 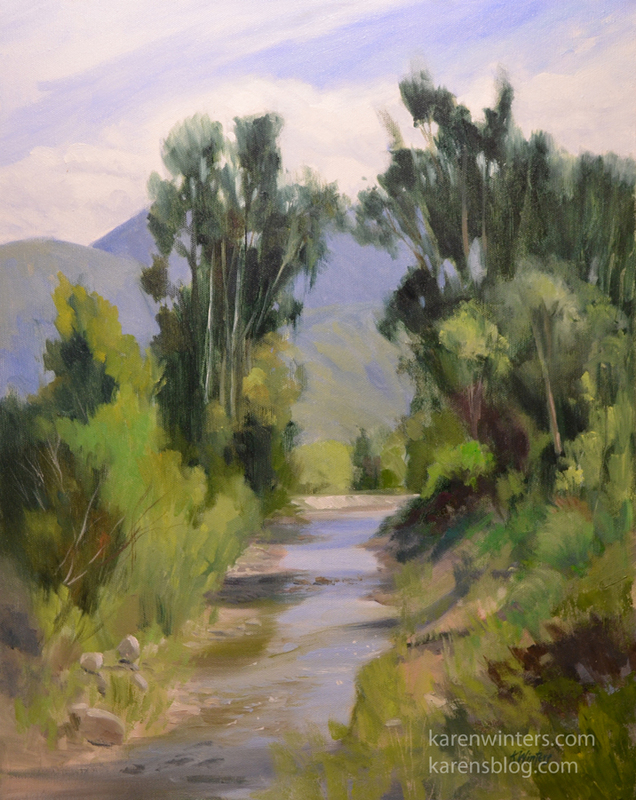 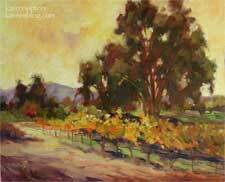 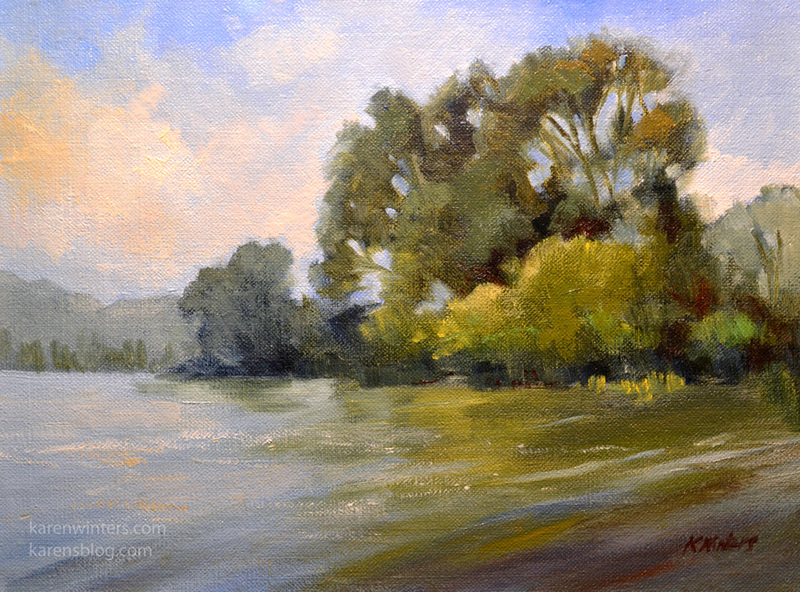 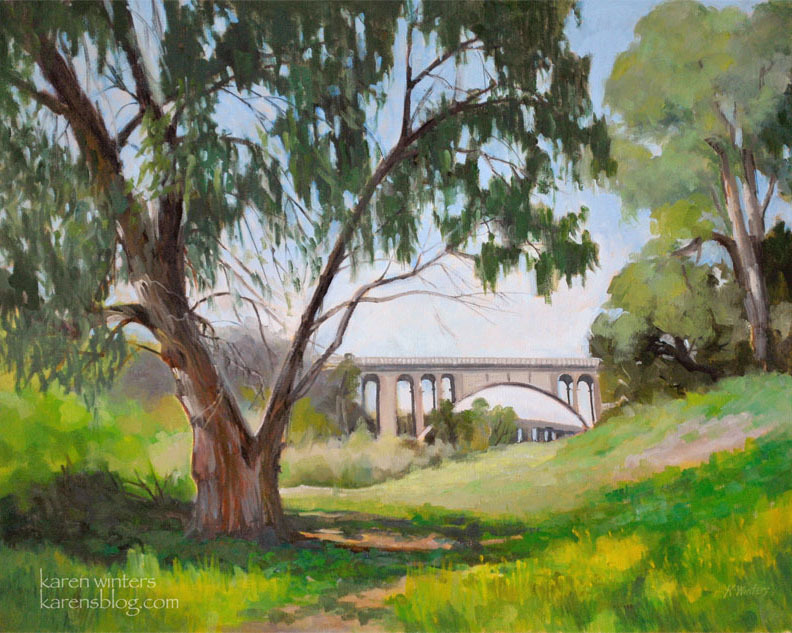 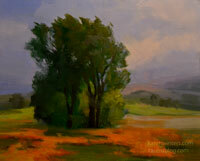 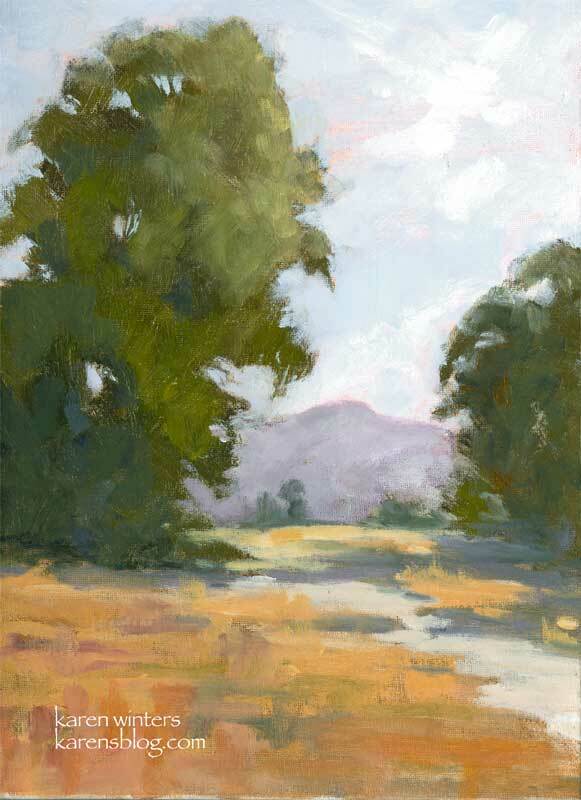 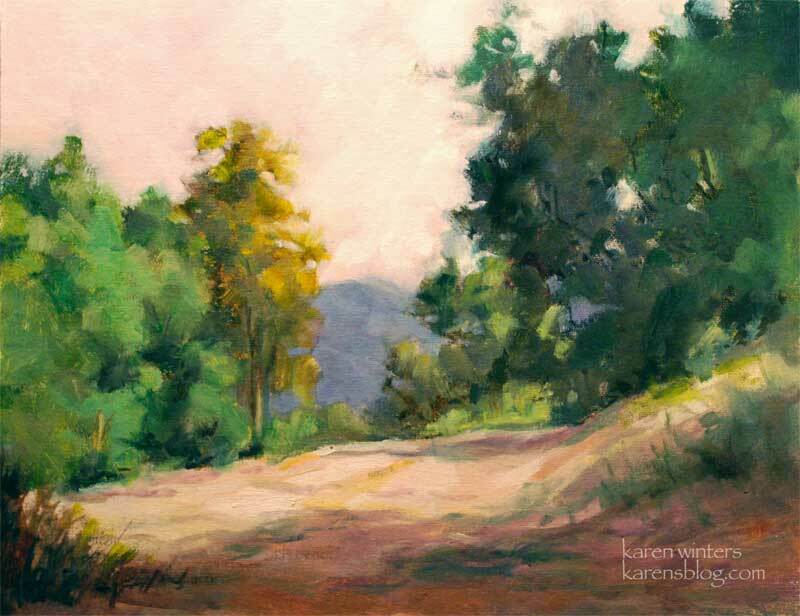 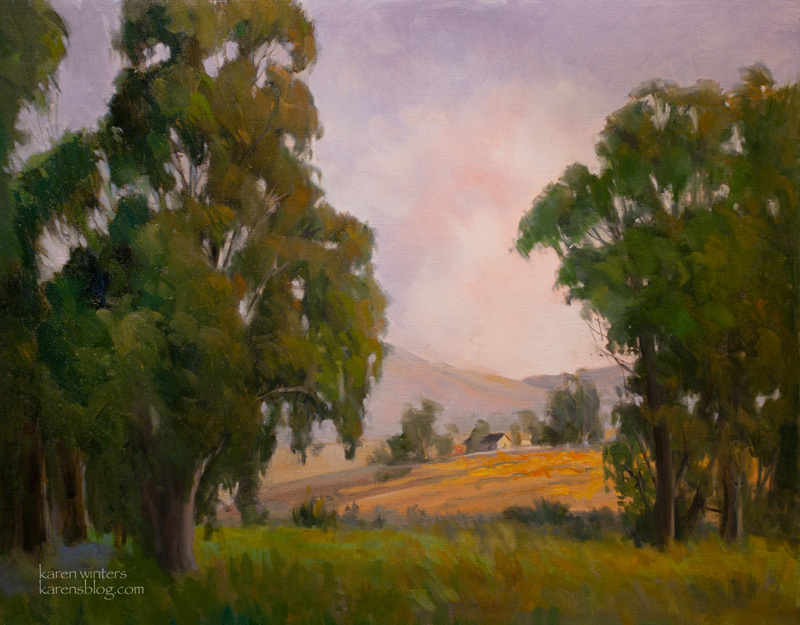 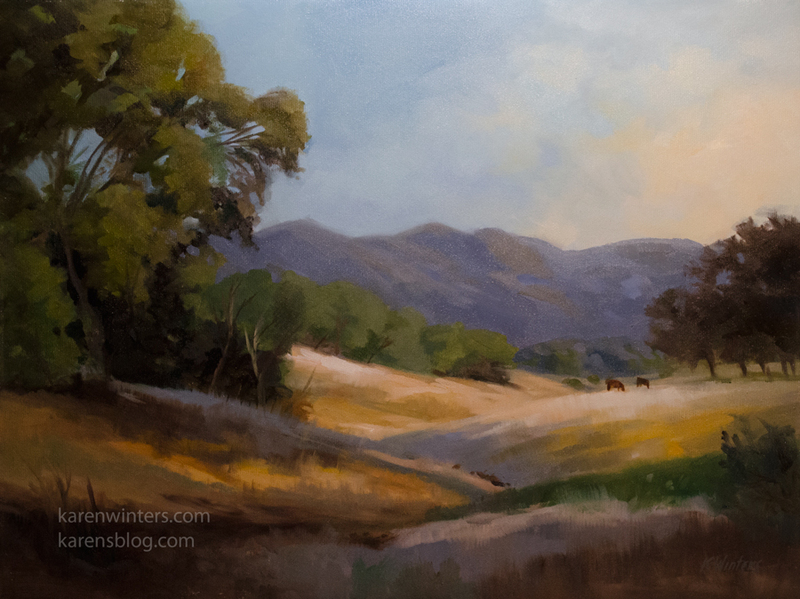 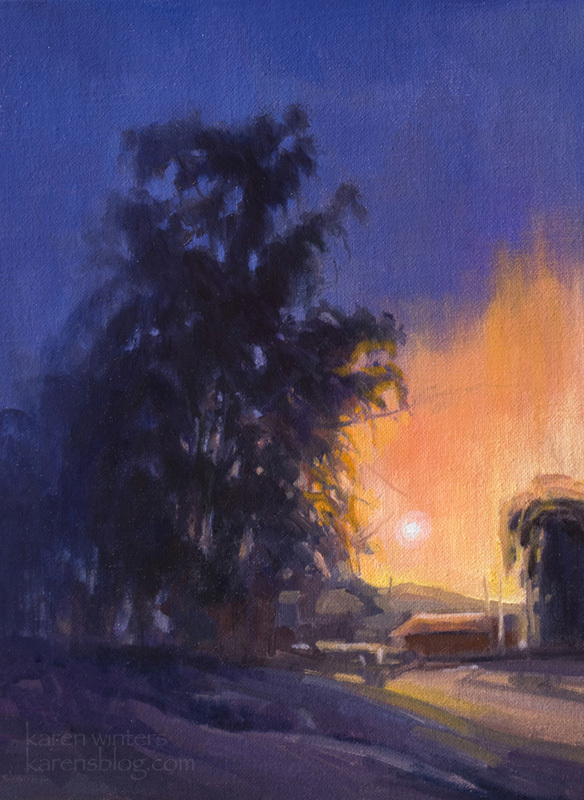 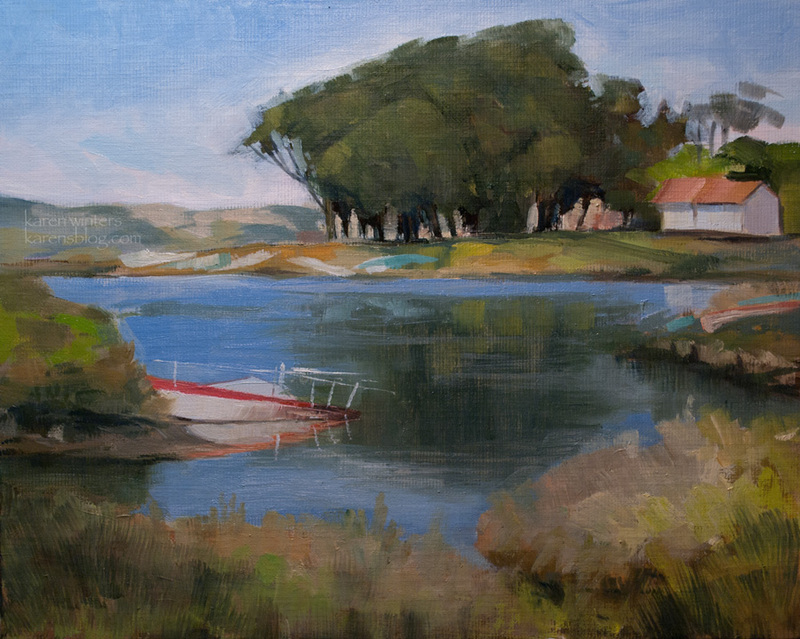 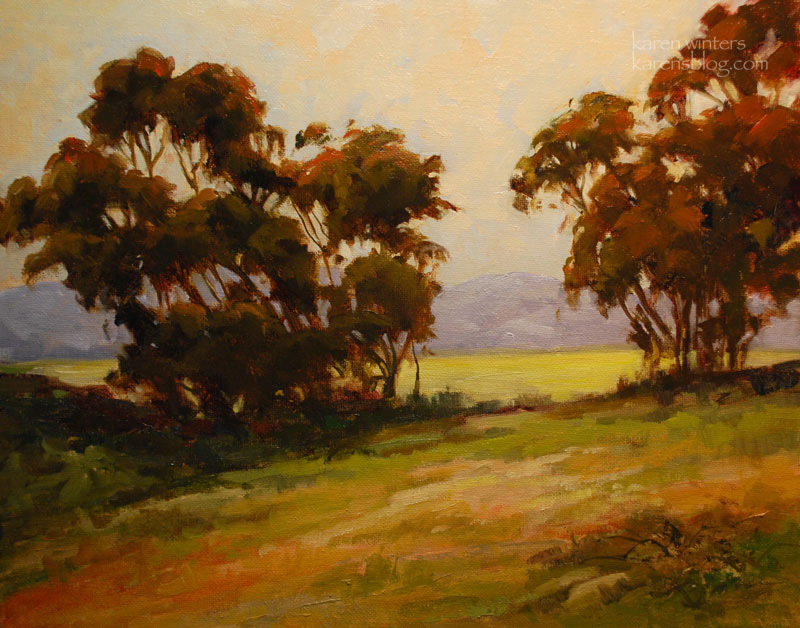 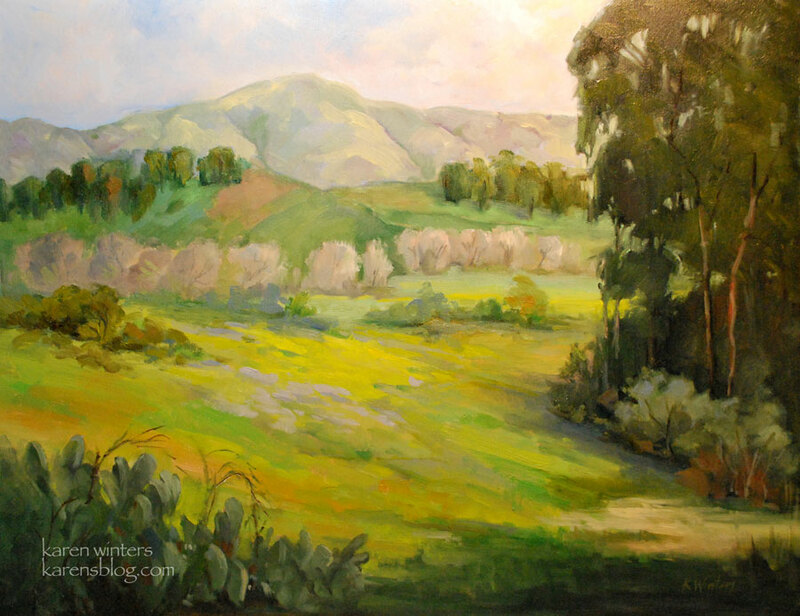 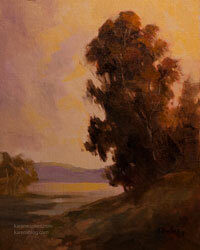 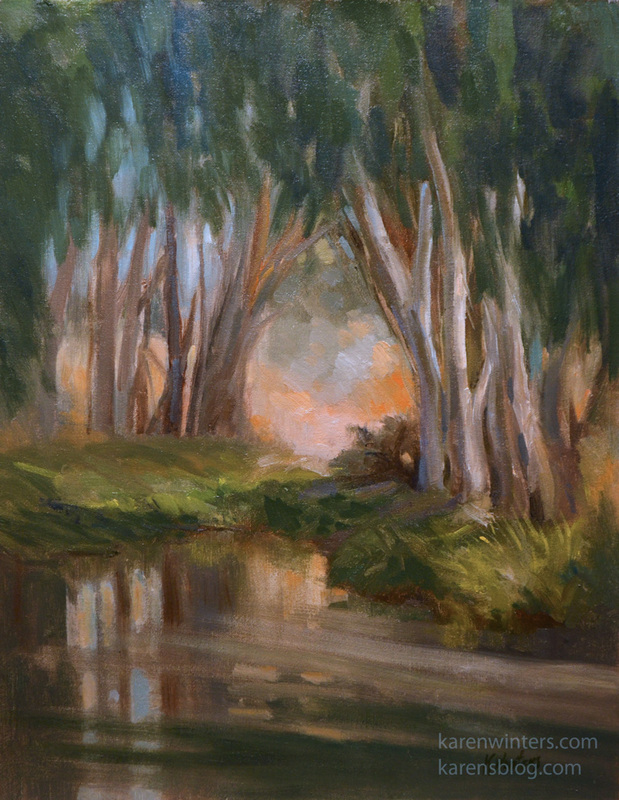 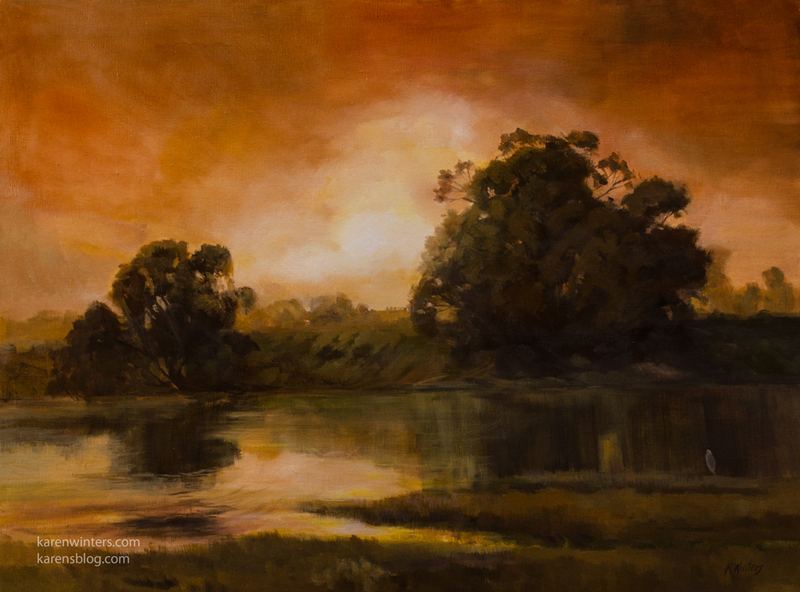 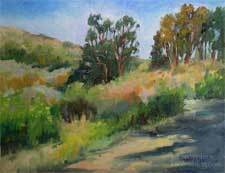 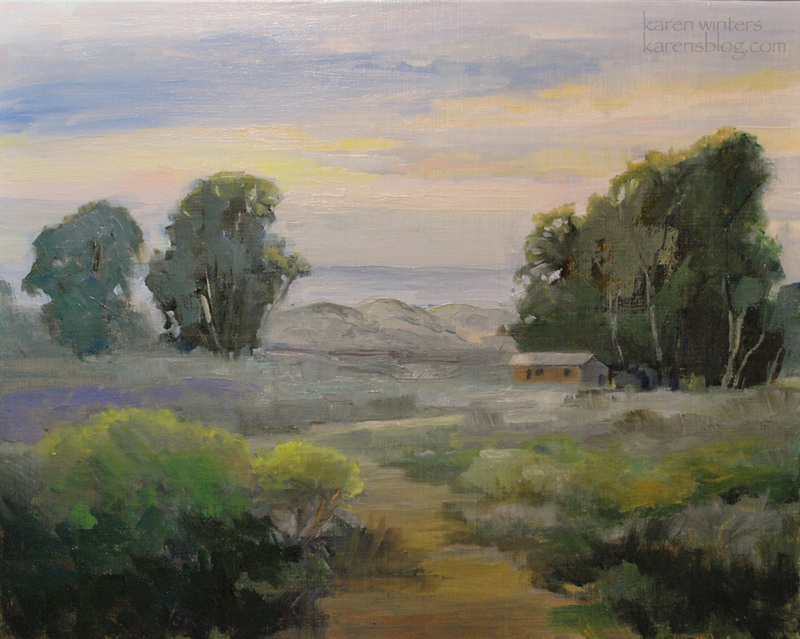 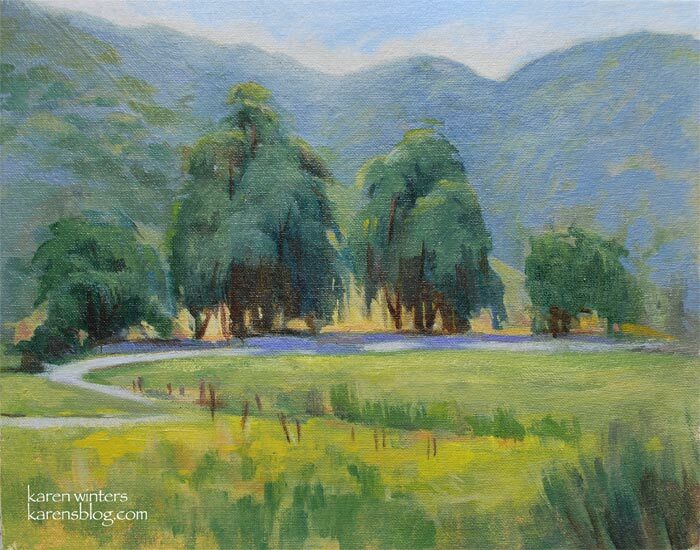 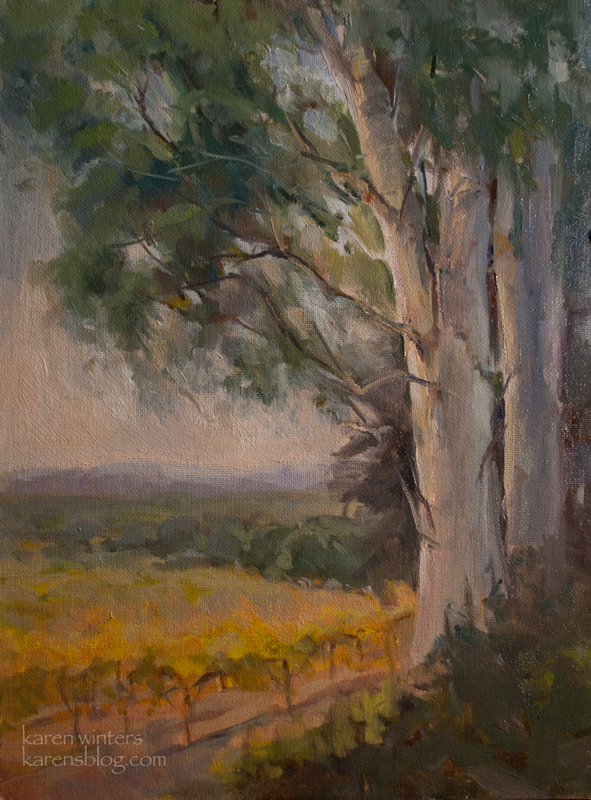 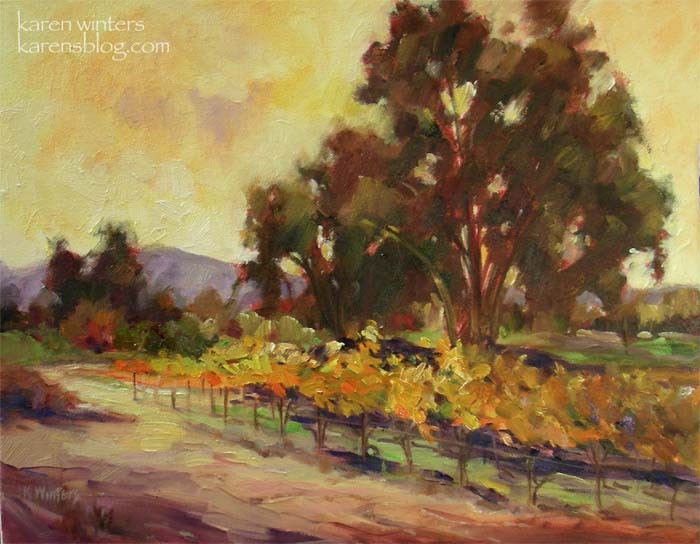 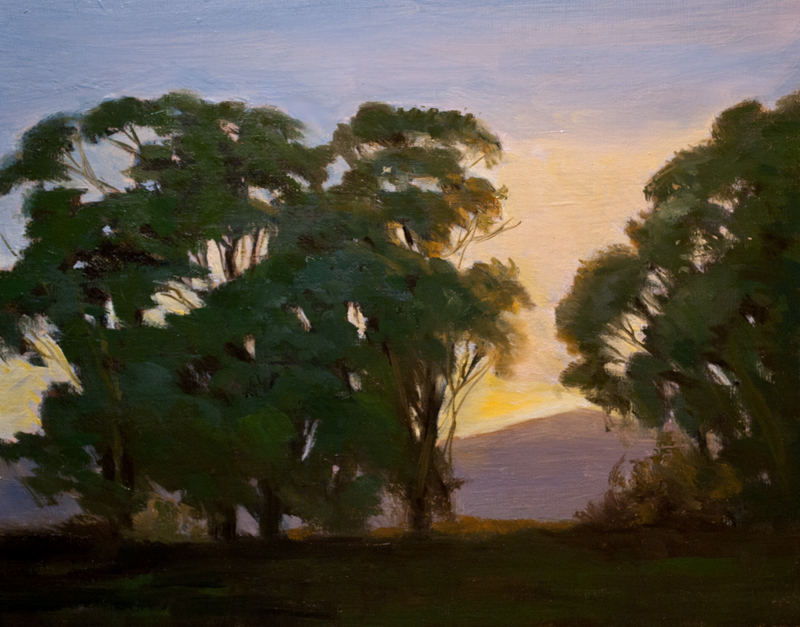 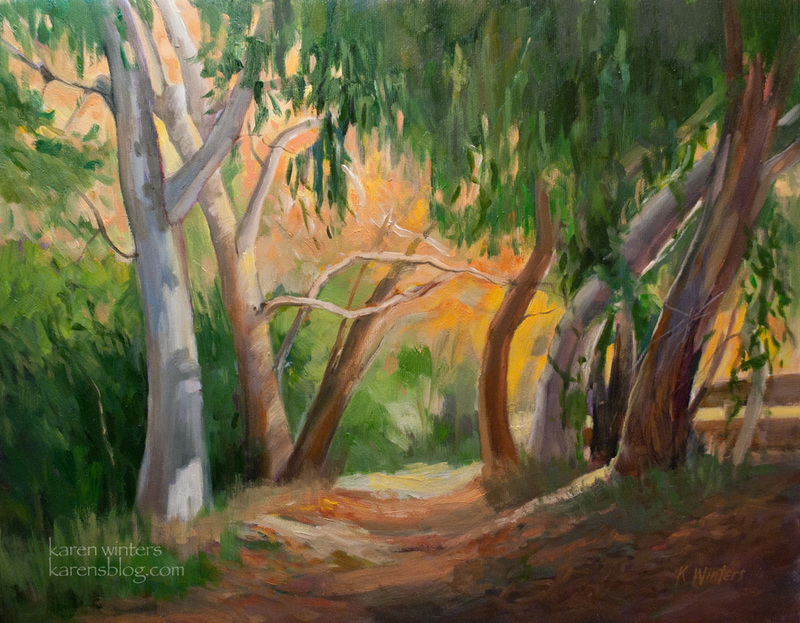 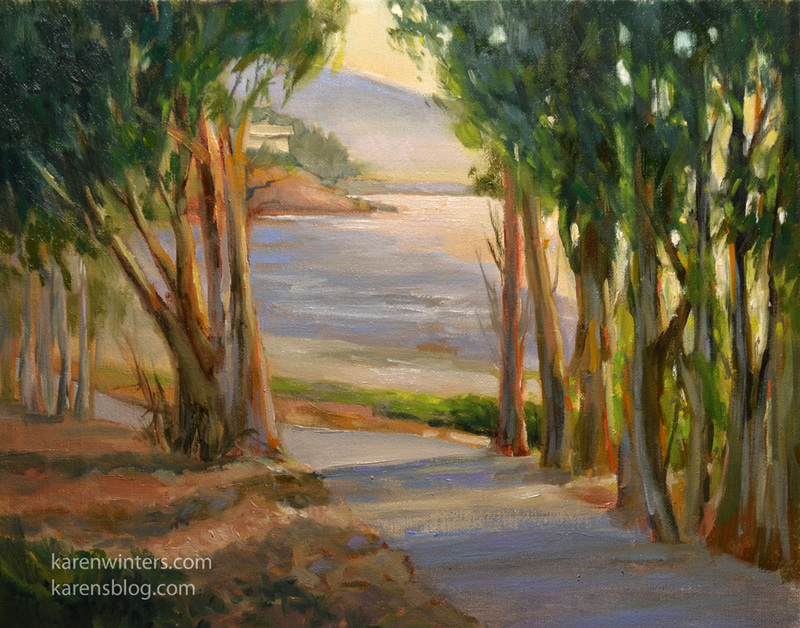 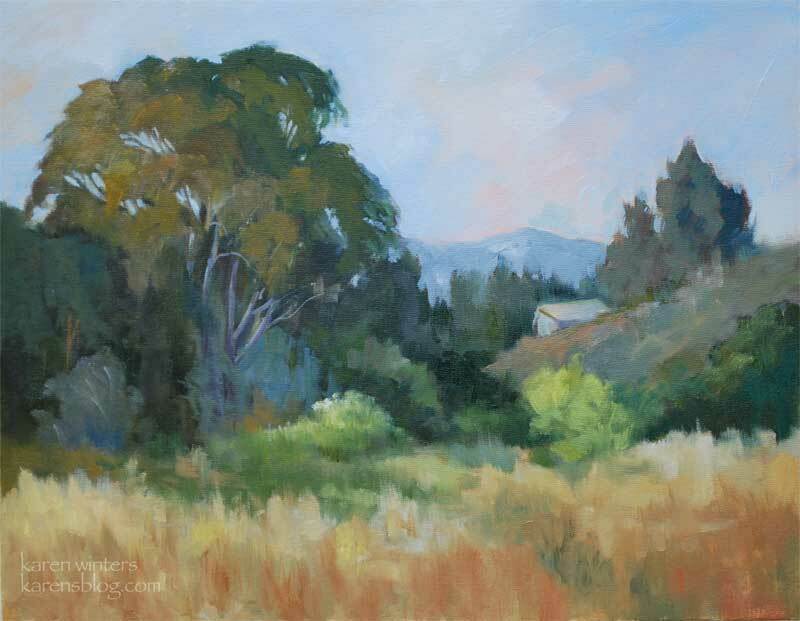 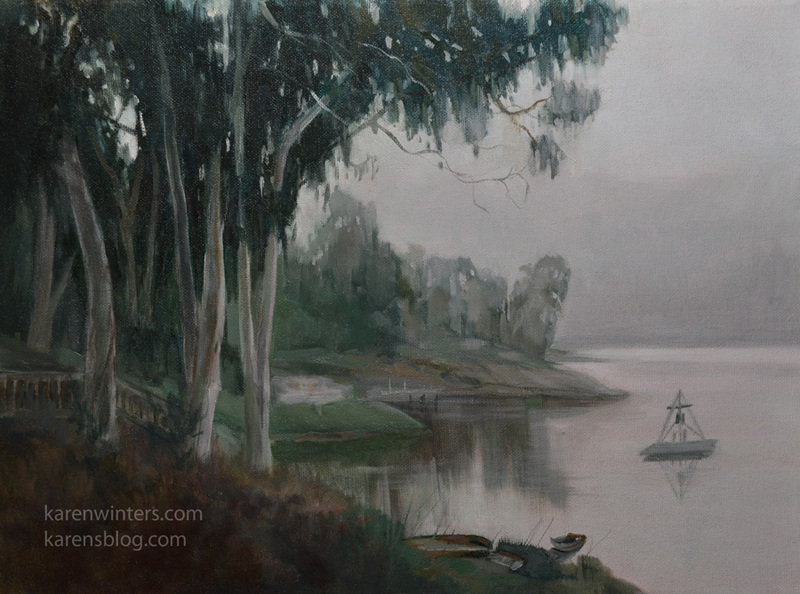 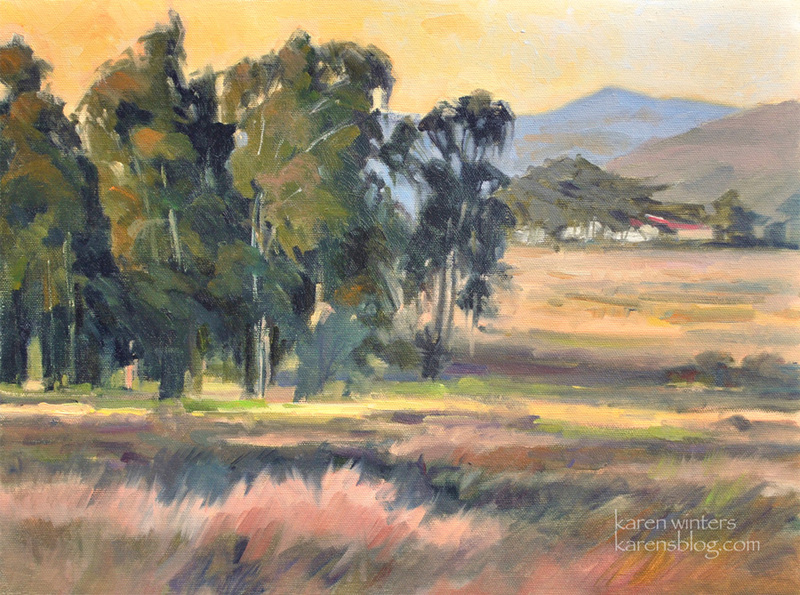 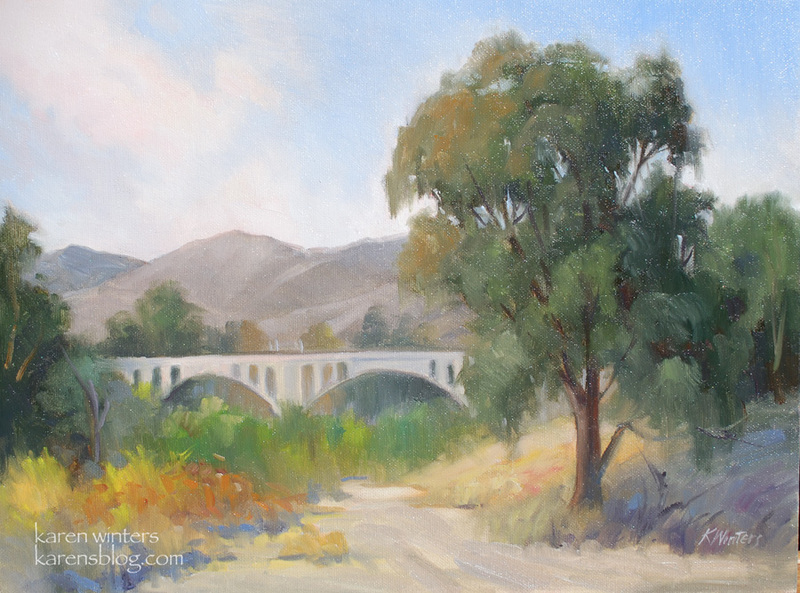 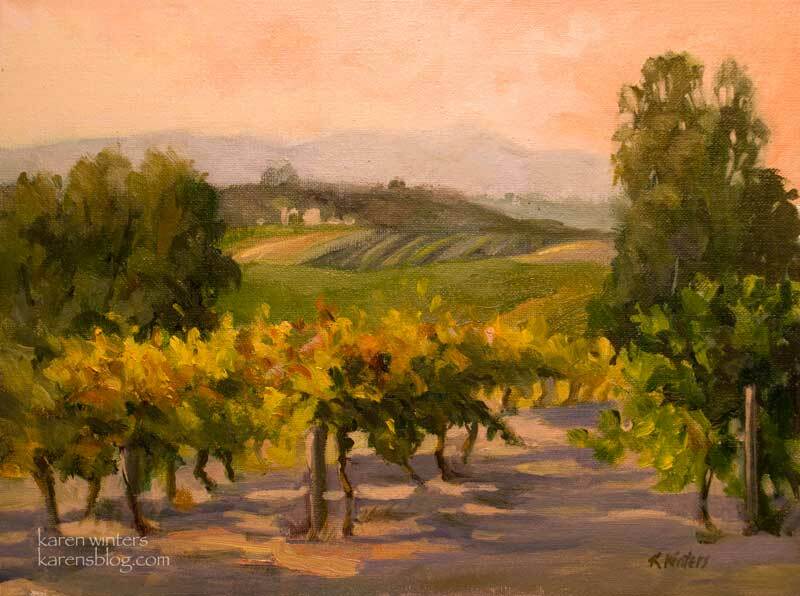 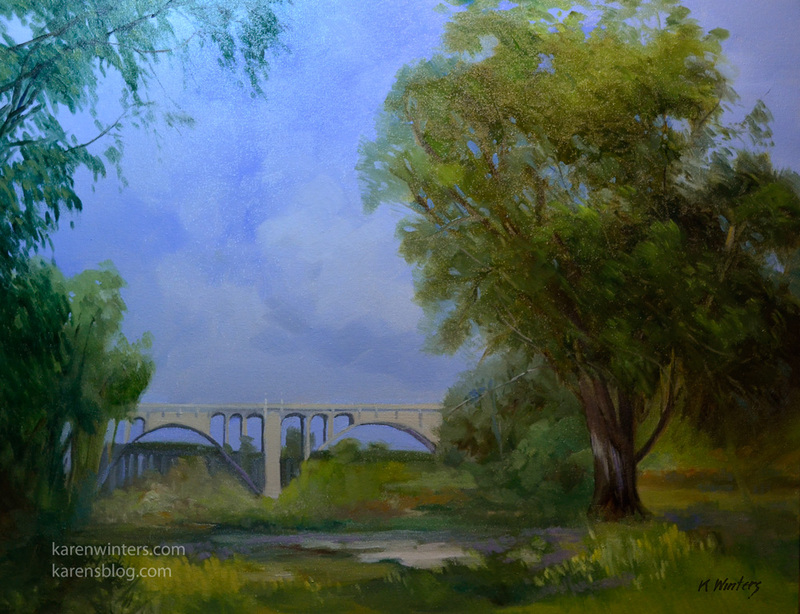 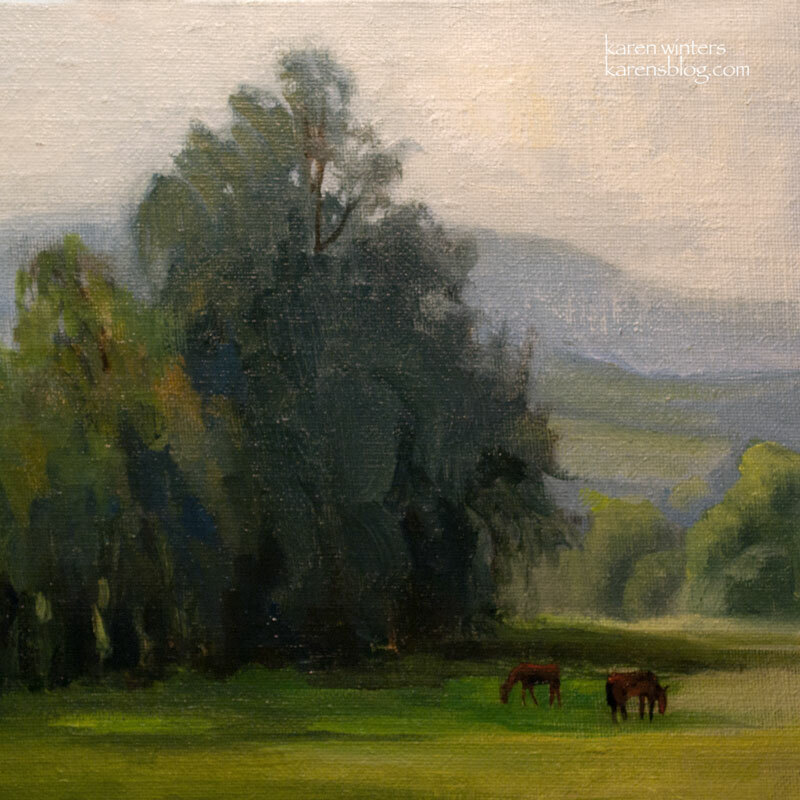 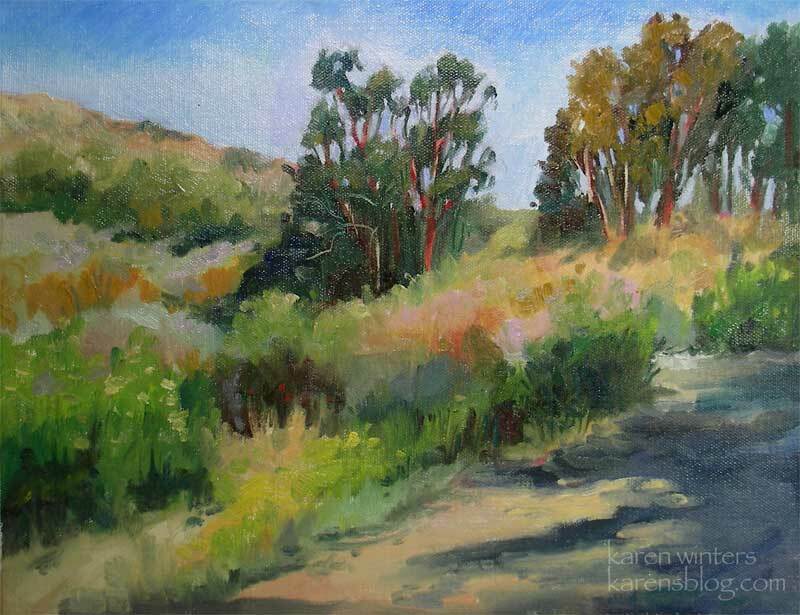 For information about the purchase of a eucalyptus tree landscape painting write: karen@karenwinters.com. 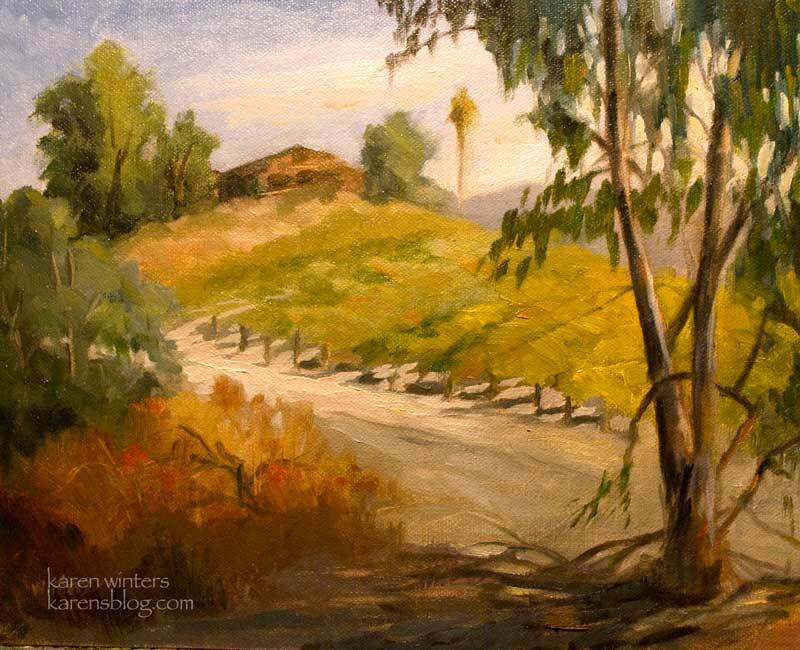 If you're in So. 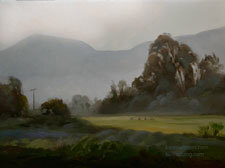 California, you're welcome to make a studio visit to see them in person. We prefer Paypal but accept Mastercard, VISA or personal checks and will ship. 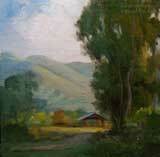 Commissions and gallery inquiries are welcome. 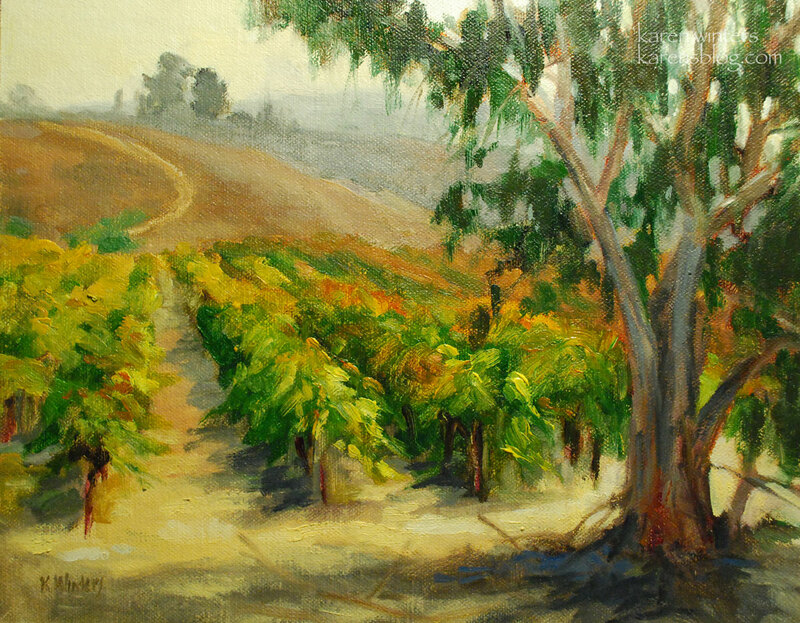 "Morning at the Vineyard "